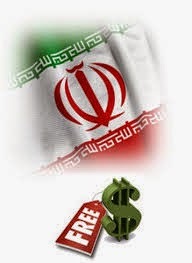 Iranian government has announced in a report that 23.5 million youth is using web in Iran and among 69.3 percent are using vpn’s and proxies to access the global internet.Presently citizen of Iran is often facing firewall when trying to access websites that doesn’t meet Iranian government internet censorship policy.In Iran using vpn is illegal and is violating the governement law,which can lead user for punishment. excluding to this ,Iran has a policy of filtering online content which leaves major and famous websites like “facebook “twitter” “youtube”,iranian cannot access these websites without using vpn or proxies. according to the filtering advocates of Iran ,Internet censorship in Iran helps to protect people from immoral content,such pornographic websites and other content.but with the use of vpn major citizen of iran is able to breaks down the restrictions. but with filtering policy Iranian government are also accused of deliberately slowing the internet which makes Iranian users difficult to access on non-restricted websites.The 3g permit granting caused controversy with some of the country’s officials who said video calls functions on smartphones could open youngsters to dubious content. later on The ministry of telecommunication,technology and information said that video calling wont be available until and unless skype or facetime and any other video calling service being accessible on normal internet connections.